The Divine is dead. The Void approaches. And the powers lying dormant within you are soon to awaken. 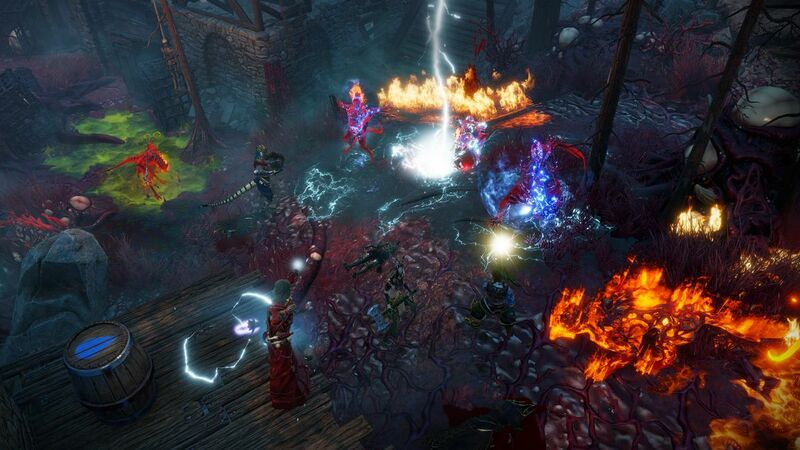 The battle for Divinity has begun.Choose wisely and trust sparingly; darkness lurks within every heart in cooperative sandbox RPG Divinity: Original Sin 2 - Definitive Edition. 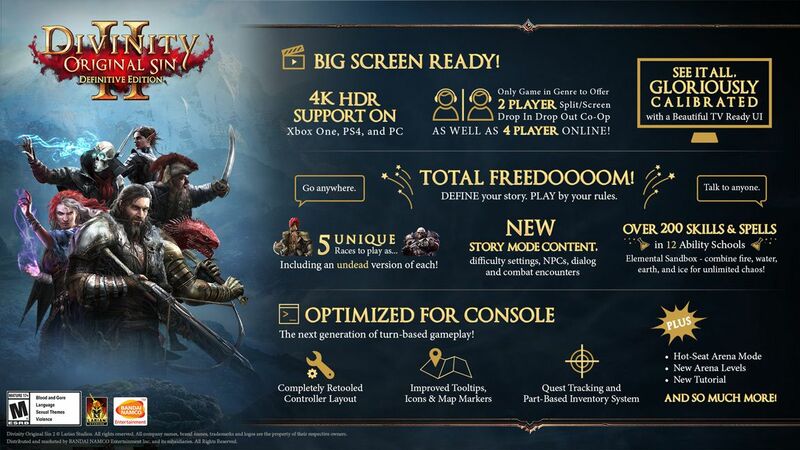 Divinity Original Sin II © Larian Studios. All rights reserved. All company names, brand names, trademarks and logos are the property of their respective owners. 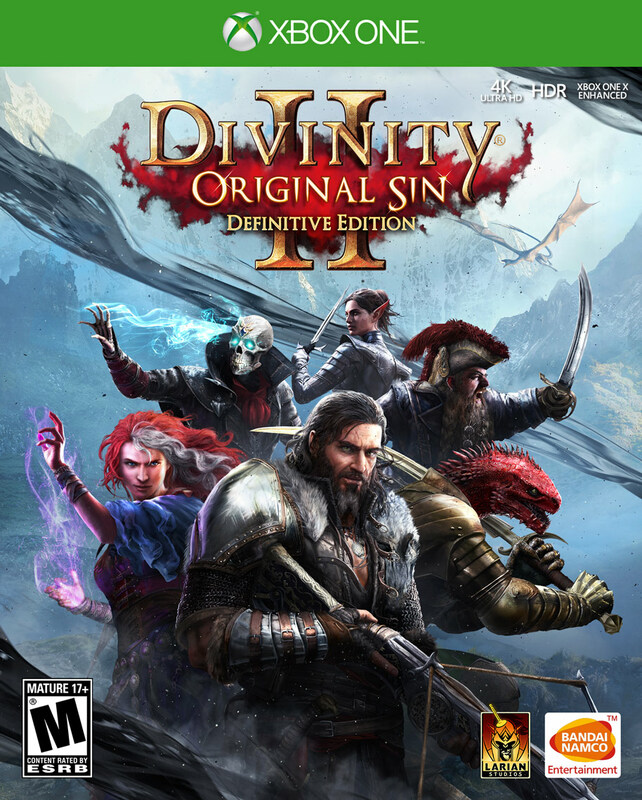 Distributed and marketed by BANDAI NAMCO Entertainment Europe S.A.S. and its subsidiaries. 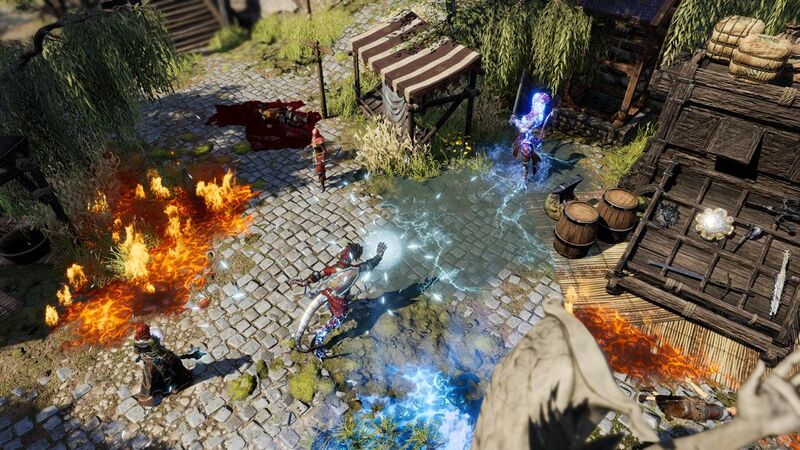 The next generation of turn-based combat. Blast your opponents with elemental combinations. Use height to your advantage.Master over 200 skills in 12 skill schools.